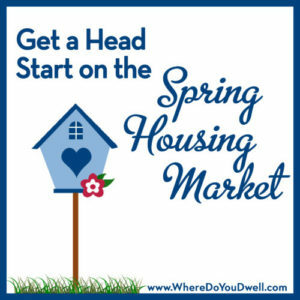 Be the “early bird” buyer who gets the home! With spring just weeks away, there’s no better time than now to start preparing to buy a home. You don’t want to be unprepared when the selling season is in full force and you’re competing with more buyers. Now’s a good time to get yourself educated about buying a home by reading articles about the process and meeting with an agent who can go over what you need to know and do as a buyer. Completely analyze your finances and collect any necessary documents. Your lender will need to look over your W2′s or 1099′s, bank statements, proof of current income, copies of tax returns, and brokerage account statements. Don’t do anything now that could damage your credit score. Postpone making any big purchases like a car or rack up a slew of credit card debt. Make sure you keep saving money and curtail your spending so you have enough for a down payment, closing costs, and more. Owning a home requires extra money for maintenance costs, utilities, condo fees, etc. Go through your budget to determine what you can pay (and feel comfortable paying) per month toward your new home. Focus more on your monthly budget and desired payments and less on the purchase price for right now. Want to crunch the numbers? Check out our Hip Homeowner’s Guide to Calculating Payments and Mortgage Calculator. Did you know that a $10,000 change in your purchase price only changes your monthly payment by about $40? You must get pre-approved BEFORE you get too far into looking at homes (Don’t mix this up with pre-qualified!). Sellers like to work with buyers who are already pre-approved for a loan. It means you’re a serious buyer and are able to make a purchase. what your monthly mortgage payments could be as well as expected closing costs. To get this done, meet with a mortgage lender who can get you up to speed on different loan products and their requirements (such as credit score and down payment), and also give you an overview of current interest rates and their future outlook. The better your financial picture, the better the rate and loan … it’s that simple. However, most people are approved for more than they want to spend every month, so be sure to understand the correlation between your price point and your monthly payment. Tell your lender that you are interested in understanding what price range to be looking in based on the monthly payments you feel comfortable with. Before buying a home you need to understand your needs and wants. Take these steps to help you learn what you like and don’t like so you’re all set (and confident!) when it comes time for serious house hunting and the rush of putting in an offer. Really think hard about your day-to-day life and what you want and need in your home. It helps to make a list of your must-haves (i.e., three bedrooms or a master suite) and your deal breakers (i.e., no eat-in kitchen or no parking space). Get to know the neighborhoods in which you are considering buying. Go there for your normal activities such as coffee with friends or grocery shopping. Try some local restaurants and see what it’s like there at night. You should even take your kids to the different playgrounds. Your agent can also give you guidance on other neighborhoods that are more affordable but have the same feel and amenities that you are looking for. Starting casually visiting open houses to get a sense of pricing for the space, location and features of homes. Think of this as window shopping, but leave the wallet at home! This will help educate you about the local market and how you much of your “wants and needs” are realistic within your budget. View homes for sale also online to further get a sense of what you like and don’t like, locations, and what’s in your budget. Before you get swept up into the house hunting process, it’s time to stop and ask yourself some serious questions. Hopefully, you understand your personal needs and budget at this point but it’s good to go through some self-reflection to make sure if moving forward on a home is right for you at this time. Is your lifestyle ready for homeownership? Do you plan to be in the area for at least another five years? Is your job stable and income consistent? Do you plan to marry or have children soon that may affect where you live? It doesn’t hurt to put some feelers out and then realize that you might need to wait another year or so before you are comfortable or ready to put down roots. That’s okay to have your own time table, and your agent will understand. If you know you want a home this spring, then you will be all set if you take these steps to prepare. Take the time to also look at our additional resources below that will help you gain more knowledge and confidence as a buyer. And always reach out to your agent here at Dwell Residential for their guidance and assistance in prepping you for the journey you’re about to take. We’re here to help you! Our experience with Kaye was superb. Her patience, organization, flexibility, proactive nature and sense of humor were exactly the right fit for our family. We really couldn’t have asked for a better match. 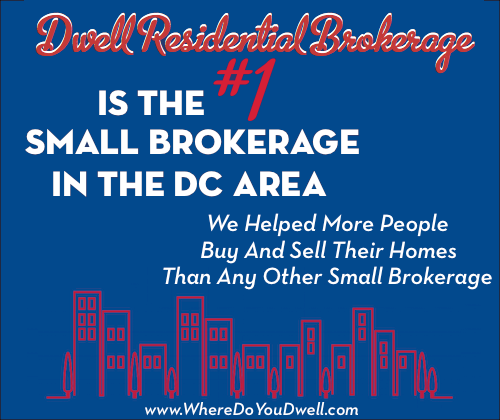 We will definitely be recommending Kaye and Dwell Residential Brokerage to our friends.